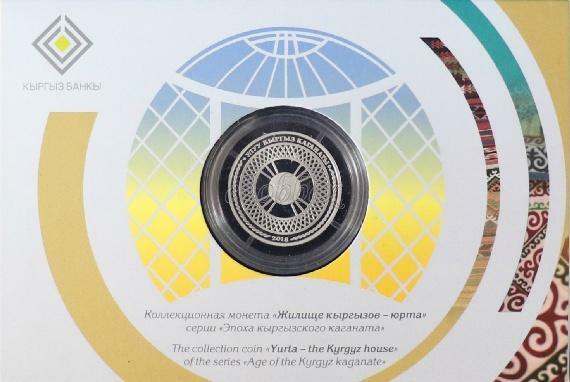 The main theme of the obverse of the coin «Yurta - Kyrgyz house» is the image of Yurt. The upper part of the coin depicts an inscription with the name of the coin «Боз үй» («Yurt»). 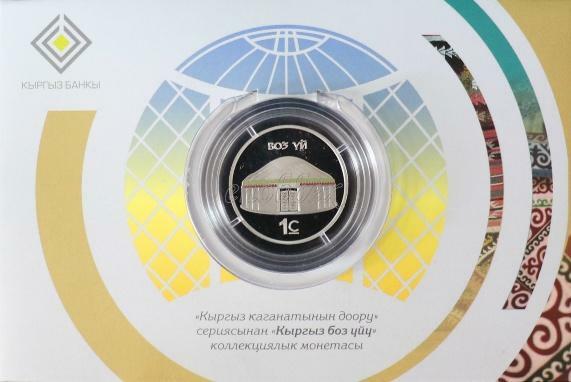 The face value of the coin and the sign of the national currency - Som, that consists of the capital letter of the official monetary unit of the Kyrgyz Republic with the low line means the stability of the national currency, are specified at the bottom of the coin. On the reverse side of the coin there is the coat of arms of the Kyrgyz Republic in the center against the background of the stylized construction of the yurt. The bottom of the coin depits the year of coin issue (2018).